This Chrysler, model C-39N, is clearly from the era of big, powerful, straight eights. Only 701 of this model were ever built. According to the Automotive Information Clearing House, there are just four left. 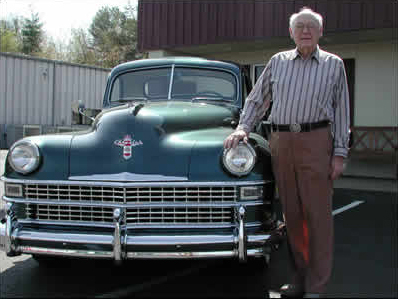 Identified by its extra wide grille, long hood, and sloping rear deck, it was a beautiful car in 1948. It still is! Extending over a period of many months, the car was professionally restored to original specifications. It has since been the recipient of numerous trophies and “Best Of Show” Awards. 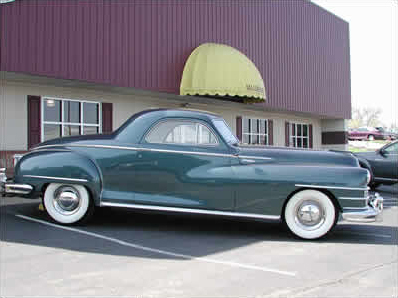 When it was fifty years old, this 1948 Chrysler New Yorker placed second in the 1998 “Great Race Across America”, from Tacoma, Washington to Haverhill, Massachusetts.